Angie Macri’s “Young Seahorse Viewed as a Transparency Object.” Page 6. Randy Gonzales’ “Becoming.” Page 18-19. Rob Cook’s “The Empty Dress.” Pages 22-23. Amorak Huey’s “The Observer Effect Is Not the Same as the Uncertainty Principle.” Page 26. Steve Mueske’s “The Crossing.” Pages 32-33. Kristina Marie Darling’s “Jane Dark Addresses the Husband (II).” Page 41. To read these poems, stories, and more, order a copy of issue 20 from here: http://www.etsy.com/shop/redactionspoetry. Gabrielle Bates’ “Infatuation.” Page 7. Susan Cohen’s “The Golden Hills of California.” Page 14. Michael Robins’ “Poem for Tony Hayward.” Page 17. James Grabill’s “The Rooster Is Nowhere If Not Awake.” Page 22. Les Kay’s “Scheduling.” Page 25. Jose D Trejo-Maya’s “Pane/Glass Glass/Pane.” Page 32. To read these poems, stories, and more, order a copy of issue 19 from here: http://www.etsy.com/shop/redactionspoetry. Andrea Spofford’s “Tundra.” Page 8. Mary Stone Dockery’s “The Idea of Brad.” Page 23. Paul Allen’s “For the Spoken-Word Poet-Friend Who Drove up to Baton Rouge to Tell His Girlfriend to Get Lost and After 36 Hours of Both Crying, She Didn’t Get Lost, and He Was Glad.” Page 29. Robert Gibbons’s “Experience & Art.” Page 54. Ed Schelb’s “Portrait of Five Composers.” Pages 56-59. David Lloyd’s “What Remains.” Pages 70-71. To read these poems, stories, and more, order a copy of issue 18 from here: http://www.etsy.com/shop/redactionspoetry. Nicholas Wong’s “Meteorology.” (Poem). Issue 16. Page 26. Allan Peterson’s “Say the Causes.” (Poem). Issue 16. Page 43. James Claffey’s “Ordinary Time.” (Fiction). Issue 16. Page 58. Donald Illich’s “Surgery.” (Poem). Issue 17. Page 33. Ben Berman’s “Droppings.” (Poem). Issue 17. Page 35. Angela Woodward’s “She.” (Fiction). Issue 17. Pages 54-55. To read these poems, stories, and more, order a copy of issue 17 from here: http://www.etsy.com/shop/redactionspoetry. Nathan E. White, “Assignment” (poem), pages 6-7. Derek Annis, “This Time of Year” (poem), page 11. Thom Caraway, “Language Acquisition” (poem), page 19. Elise Gregory, “Benevolent Me” (poem), page 19. Sarah Cedeño, “Fledgling” (fiction), pages 61-66. Silas Hansen, “The Masculinity Test” (creative non-fiction), pages 67-68. To read these poems, stories, and more, order a copy of issue 15 from here: http://www.etsy.com/shop/redactionspoetry. 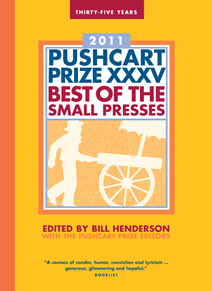 To read the poems, you can order a copy of lucky issue 13 here http://www.etsy.com/shop/redactionspoetry or you can read them here http://redactions.com/pushcart-poems.asp.